M&TP999-The setting of this wonderfully crafted custom home is truly beautiful. Situated in a green mountain valley with forested land in the backyard and bubbling creek on the back acres of the land, you can't ask for any better location! Wonderful views of the Wet Mountains and the Sangre de Cristos. 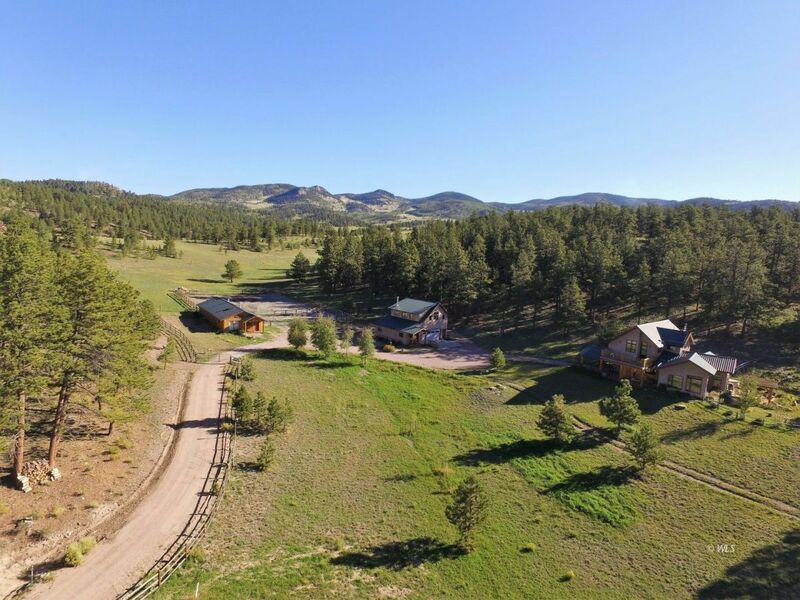 This is a horse lovers' dream property with a 24x34 barn and arena, automatic livestock waterer, and attached guest suite. The tack room is heated and has hot and cold water available. A guest apartment is located above the 2-car garage The custom dome greenhouse has flowing water, heat and custom raised beds for your plants.The main house has an open floor plan, vaulted beamed ceilings and cozy wood stove. The large windows let in the views, light and warmth in the winter. The custom acid-washed concrete floors are beautiful and warmed with radiant in-floor heat. The house is backed up with a propane generator for emergencies and also features thermal solar with a 500 gallon solar hot water heater. The photovoltaic solar system makes electric bills almost non existent!! There are 3 cozy wood stoves throughout the property for your enjoyment. The home is also on the grid. $899,500.